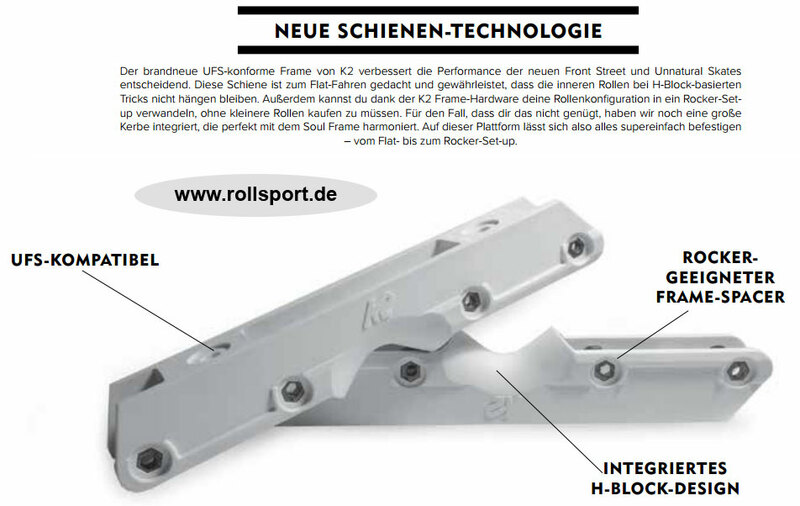 K2 Unnatural Agressive Skates - the new Urban and Freestyle Inline Skate by K2. Practically the following model for the K2 Il Capo. The new K2 Uptown Skate in black looks not only great, but is also technically well equipped. The skate was made with a very robust, 243mm long frame (rockerable) made of extruded aluminum. The skate is fully UFS compatible.